Dr. Palmer and her team at Healthy Happy You Family Medicine understand that women have their own unique needs when it comes to health and wellness. Visit her warm, supportive office in Glassboro, New Jersey to receive top-quality care for all your special needs as a woman, including pregnancy and prenatal care, women's wellness exams, bone density screenings, and screening for breast and cervical cancer. Some health issues, such as pregnancy, menopause, cervical and uterine diseases only affect women. Women's health addresses such health concerns. 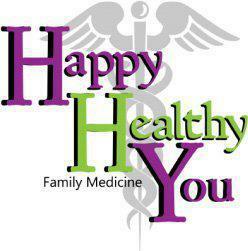 The team at Happy Healthy You Family Medicine understands that women have unique bodies requiring special treatment. The facility's friendly environment and warm staff make you feel comfortable discussing your most sensitive health concerns. How is women's health different from men's? Women are more likely to develop some diseases that affect both sexes or possibly experience more severe symptoms. Some examples include depression, anxiety, urinary tract infections, and osteoarthritis. Women are also more likely than men to die after having a heart attack. Domestic violence is another health issue that affects more women than men. It’s a highly sensitive issue that may concern the entire family. At Happy Healthy You Family Medicine, women are counseled in a secure, safe environment and provided with the right resources to empower and protect them. Why is women's so health important? Women require specific preventive care to reduce the risk of developing grave diseases and types of cancer. Conversely, failure to get regular women's health check-ups throughout your life can increase your risk of developing cancer, heart disease, or bone disease. Routine tests such as breast cancer screening, cervical exams, and bone density tests are essential. They can help discover abnormalities early, which dramatically increases the chances of maintaining a healthy, active life. How does a family doctor treat women's health? Dr. Palmer and her team talks to you about your specific concerns and family history. 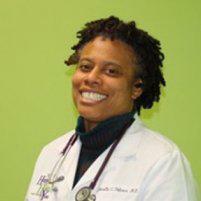 Based on the information you provide, she tailors her advice and treatment plan to your needs. If you require care beyond the scope of family medicine, she refers you to a highly-recommended specialist that can treat you further. If you're a woman in need of medical care for any of the above concerns, call or click today to set up an appointment at Happy Healthy You Family Medicine.